The origins of the pub go back to 1723 when it opened as the Dock and Duck reflecting the more country pastimes of the area. 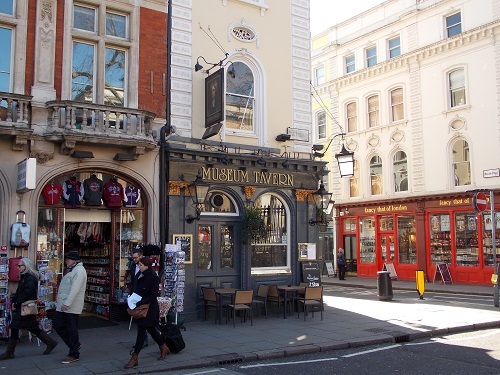 However when the British Museum was built in the 1760s, the owners decided to change the name to the British Museum Tavern in 1762 and in 1858 after a refit it became the Museum Tavern. The refit was overseen by architect William Finch Hill who was best known for his designs for Music Halls, much of his design still remains. It’s position at the entrance to the British Museum means it has for centuries been a favourite port of call for the many visitors, academics and workers in the area. When the British Library was inside of the British Museum it attracted the great minds and thinkers, a regular user was Karl Marx and it has been said that the Museum Tavern was his ‘local’ whilst he was rewriting history. 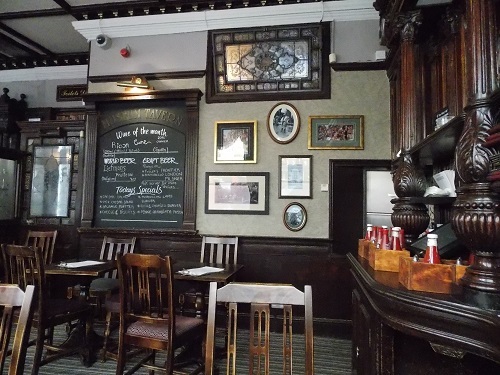 Other famous visitors to the Tavern have included Sir Arthur Conan Doyle and J. B. Priestley. 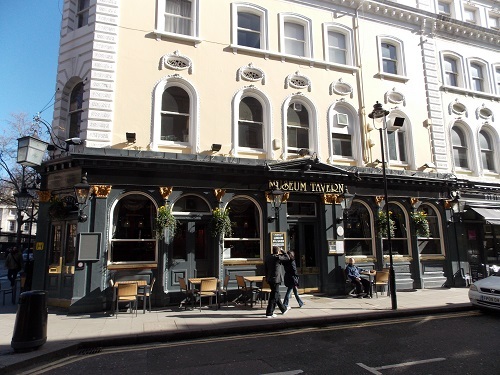 There is no doubt even up to the present day a wide range of people have frequented the Museum Tavern which is part of its charm, it is a traditional London pub owned by Taylor Walker Brewery with real ales on tap and traditional food being served. 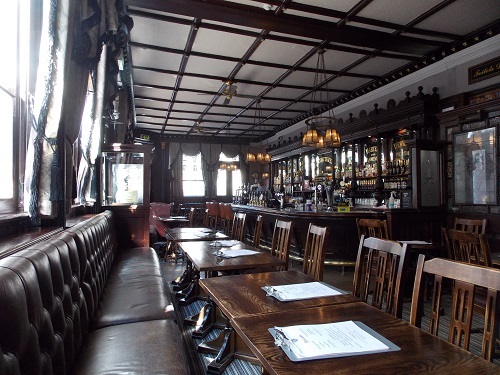 By londonvisitors2014 in Bloomsbury, Pubs of London on March 6, 2014 .